The MCAT plays an absolutely huge role in your medical career future and a huge role in your future as a whole. The exam has many different options for test preparation books, from multibook guides to single book solutions. The MCAT, or the Medical College Admission Test, is a very difficult exam, and has a big say on your future. 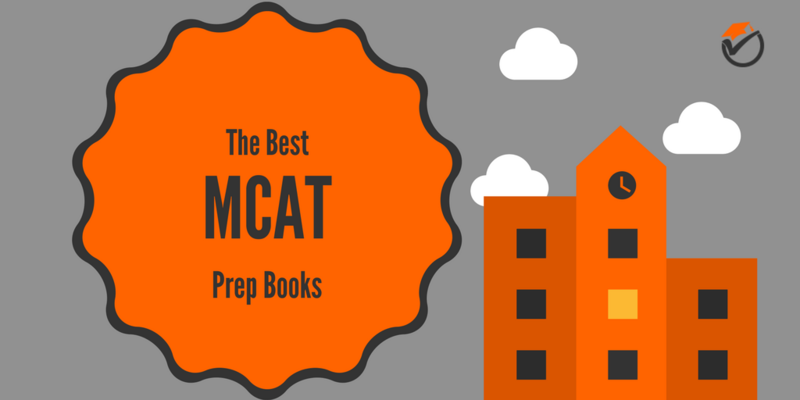 Because of these reasons I have created this list of the best MCAT prep books. All of the info below should make it very easy to choose which study guide bundle or single book solution is right for you and your medical college admissions future. 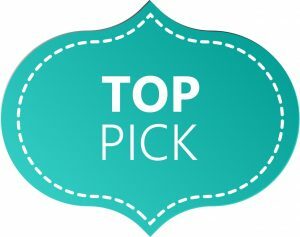 Read on to see which study guides came out on top! 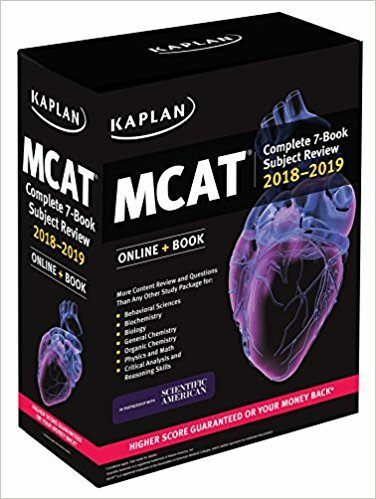 Kaplan MCAT Complete 7-Book Subject Review is the best overall and best value study guide bundle on our list of the top rated MCAT prep books for a high percentile score. With 3286 pages, the bundle is very lengthy and detailed. With all of this detail, you don't have to worry about subjects that you need to know being left out in the book. And you also do not have to worry about being surprised with something you have not studied on exam day. The study guide also has very detailed diagrams and illustrations. This cuts out the monotony of reading line after line of text, which makes it much easier for visual learners to study for a longer amount of time, increasing your score on the standardized exam. Also noteworthy: Kaplan has included “star ratings”. “Star ratings” are ratings assigned by the book writers that detail how important a subject in the book will be for your score on the actual exam. As you know, some subjects have more questions than others on the exam, meaning that these are more important to study because they have a higher weight on your total score. The main flaw of Kaplan's is that the practice exams are detail oriented compared to the concept oriented questions found in the official exams. This difference in exam questions can leave you sometimes confused on test day, wondering what the correct answer may be. Although with these flaws, we still rank Kaplan MCAT Complete 7-Book Subject Review as the best overall study guide on our list of the top prep books. Examkrackers MCAT Complete Study Package is our second overall best study guide bundle and our top pick for time-strapped studiers and test takers. Compared to the other study guide bundles with multiple books, Examkrackers is very concise. This conciseness makes sure that you do not waste time learning things that you do not need to know for the exam. It really comes in handy with a full-time student’s schedule because it is highly efficient. This study guide bundle also really simplifies the subjects, like organic chemistry, biochemistry, and biological sciences on the exam. You will not be pounding your head in frustration from not being able to understand the question at hand and you will not be wasting your time studying the different topics. The main issue with this study guide bundle is that the early copies of the verbal reasoning book were defective. Some pages were deleted while others were copied and put in their place. Hopefully by the time you order this book, that problem has been fixed and you will not have that issue. Examkrackers MCAT Complete Study Package is our second best overall MCAT study guide bundle and our top pick for time-strapped studiers. 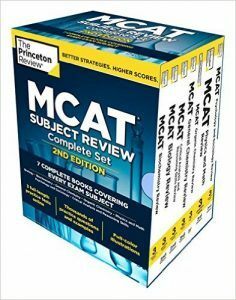 Princeton Review MCAT Subject Review is the third best overall study guide bundle on our list and the last multi-book package. The main advantage of Princeton Review is that it is not too detailed,but also not too concise. This bundle really hits that good middle ground. It really brings down your nerves on test day knowing that everything you need to know has been covered in this study guide bundle. This bundle is not as concise as the Examkrackers study package, and also not as detailed as the Kaplan study package, but still meets a good middle path. Another positive of this study guide bundle are the large amount of study guide questions. You won't run out of problems to practice with. This makes it very easy to feel fully prepared come exam day. The main weakness of Princeton Review is that there is a disappointing amount of editing errors. This sometimes leaves you confused and wasting your time when you encounter one of these errors. 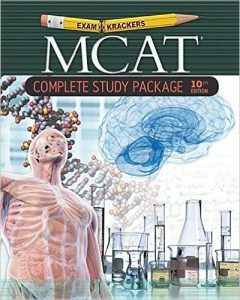 Princeton Review MCAT Subject Review is our last study guide and the final multi-book bundle on our list of top MCAT study guides. 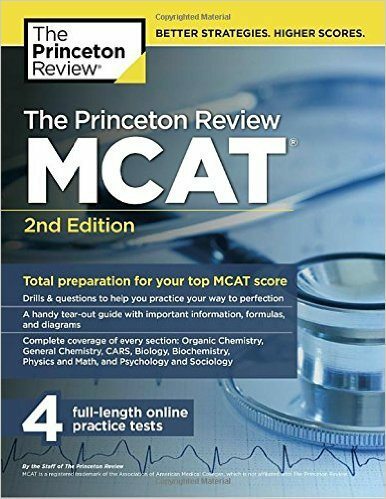 Princeton Review Complete MCAT is the fourth best overall study guide on our list and also the first single-book study guide. This prep book really provides a great general overview for the exam. Because of its length of only 1488 pages, the general overview is concise and does not waste your time. It is most notably good for the amount of questions and exams that you get for the price. 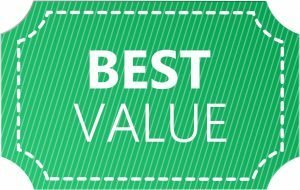 This review bundle costs a lot less than the first three titles on our list, but you still receive plenty of practice exams and questions. This would be a great choice for someone looking to get those extra repetitions in before test day. One flaw with Princeton Review is that the layout is clunky and sometimes skips ahead or backwards. This leaves you answering questions that you have not learned the finer details of and that will be explained in a future chapter. The example questions really need to be assigned to the correct chapters so that you are not left confused and frustrated. Princeton Review Complete MCAT is our fourth best overall and first single-book study guide on our list of the top rated MCAT review books. 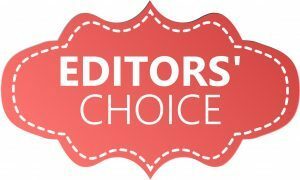 Barron's New MCAT is our fifth best overall prep book and our budget pick on our list of best prep books. With only 1128 pages, Barron's is very concise and to the point. This saves you a lot of time while studying because it is very efficient at getting the point across. 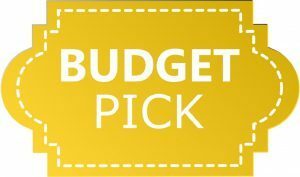 Also, this study guide is a lot cheaper than the other options on this list, saving you money while on a student's budget (hopefully saving you enough to go out for that celebratory dinner after the test on exam day). The 1 main flaw with Barron's is that the practice exam questions are sometimes poorly worded. This sometimes leaves you confused and wasting time when you are wondering why you got a question wrong even though you were right. The questions are also somewhat less exam-like than the other study guides on this list. This means that you may go into the test on exam day and be surprised by questions that you have not seen before. 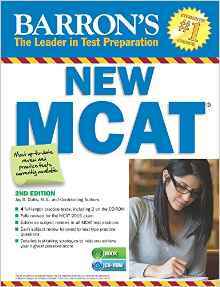 Because of this Barron's New MCAT is our final book and our budget pick for the best study guides to prepare for the MCAT, by AAMC. Buy Kaplan Complete 7-Book Subject Review if you are not on a student's budget or are not strapped for time. If you are really short on time, then get Examkrackers Complete Study Package since it is very concise. If you are on a student's budget then buy one of the single book study guides.